The Ohio Statehouse, completed in 1861, is considered one of the nation’s most important architectural gems. The Statehouse itself is centered on a 10-acre site and is complemented by the 1901 Senate Building and a parking garage beneath the Statehouse grounds. After more than a century of intense use, alteration, and neglect, the Statehouse and Senate Building were in dire need of restoration and renovation if they were to continue to meet the increasingly vigorous demands of modern governmental activity. Schooley Caldwell was selected to design this revitalization and restoration. The client and design team established two essential criteria for the project: the buildings had to be returned to their original architectural image, and they had to be equipped for the same level of use (i.e., technology, etc.) that new buildings would provide. 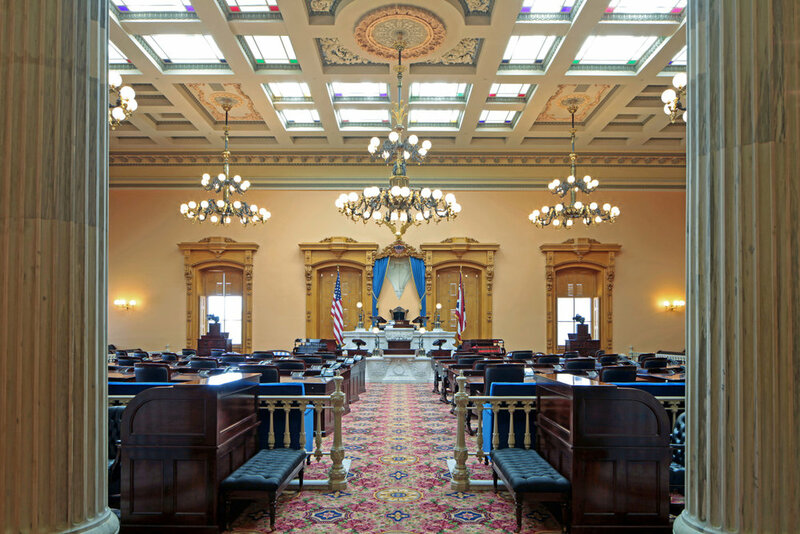 Also of consideration was that the Statehouse had to remain operational throughout the project; with a phasing plan in place, at least half of the building remained open and in active use at all times. Recapturing the historic integrity of the building while at the same time providing modern conditions for its users proved to be the biggest design challenge. 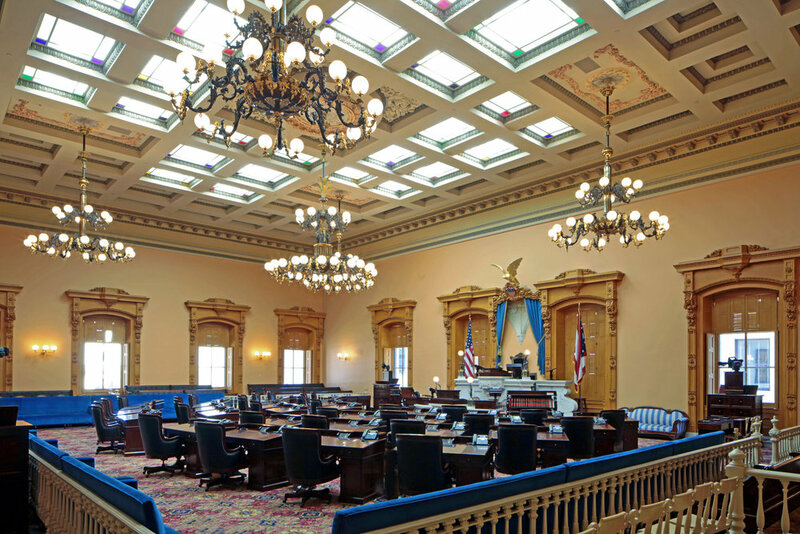 Other issues included space planning for the legislature, meeting life safety requirements, providing access for people with disabilities, restoring natural light to the interior, and incorporating modern HVAC, lighting, and security systems. The design is also full of functions to facilitate public participation in government, including a major museum and education center complete with interactive displays. Schooley Caldwell also designed the award-winning Capitol Atrium, an addition nestled between the Statehouse and Senate Building, which has become one of the most popular event spaces in Columbus. Since the completion of the full restoration, Schooley Caldwell has served as the “Architect of the Capitol” under contract with the Capitol Square Review and Advisory Board, the state entity that is the official overseer of the Statehouse. We provide on-call services for all projects that take place at the Capitol, including maintenance, repairs, technical services, and capital projects.